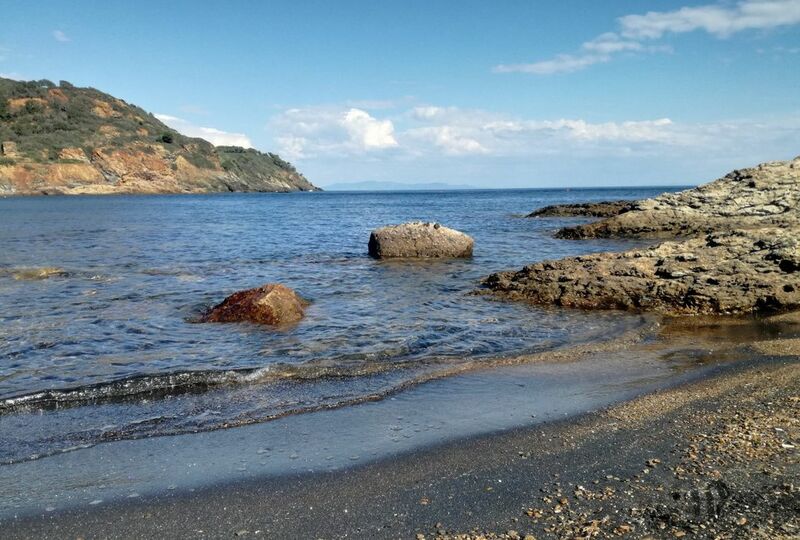 On the Island of Elba it is allowed to bring our four-legged friends to the beach, except on the beaches of Rio nell’Elba and Porto Azzurro, but where special places for dogs are reserved. 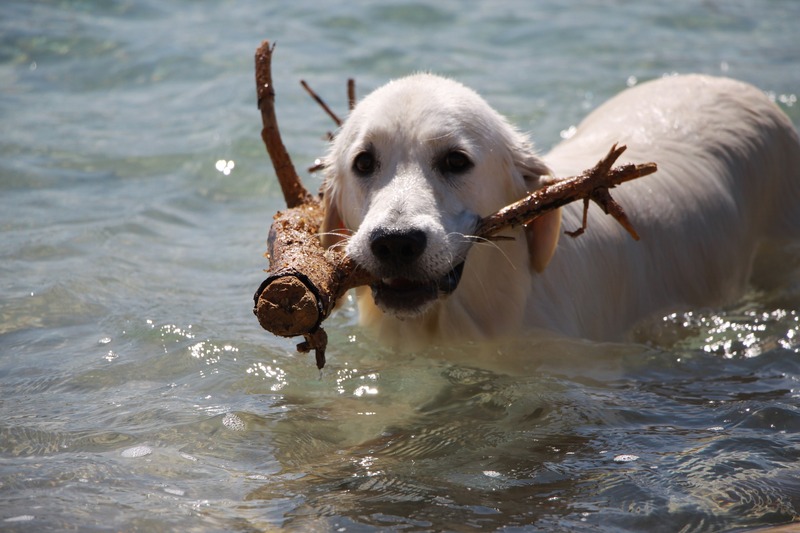 Especially in Porto Azzurro dogs are welcome at Lake Terranera and at the Dog Beach, the only beach reserved for dogs. 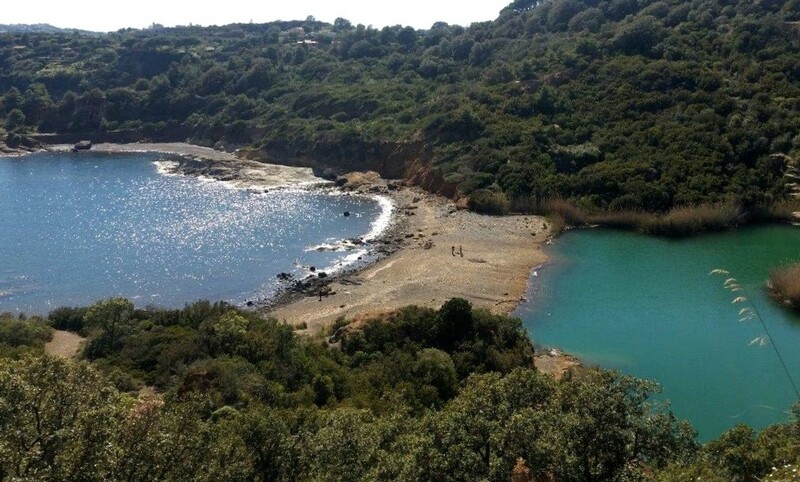 The dog beach of Mola is only 100 meters from the Sud Est Residence. Located in an easily accessible area, it is the only beach on the Elban soil dedicated entirely to animals: 20 umbrellas, 40 beach chairs, 7 cabins, 2 chemical toilets (one for handicapped people) and the essential equipment to collect the droppings of four-legged friends. The beach is made of gravel that is removed and replaced new every year; the sea bottom, also of stones, is really very shallow and dogs love it so much that often those afraid of swimming approach the water to cool off a bit. Frankly, for us humans it is not really the best, but just to see the happiness of your dog swimming and playing with his fellows is to forget immediately all the rest. And then, a beach service with “All Inclusive” (umbrella, deck chair, bowls and toilets) for only 3 euros, where can you find it? You read that right, beach service for the whole day at 3 euros! Besides, the guys who run this beach are really nice and their passion for dogs, of any size or breed, is very evident. Five hundred square meters of pure leisure and fun for our 4-legged friends, when we do not want to take the car or take long walks to reach isolated coves, the Mola Dog Beach is the perfect solution! But remember: here the owners of the beach are them! 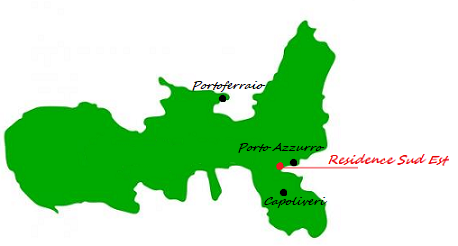 The Terra Nera lake in Porto Azzurro is near the Sud Est Residence. The easiest way to get there is to park near Reale Beach and from there follow the signs that take you to the path that crosses the old mining area; since for a short distance you pass between the rocks it is preferable to wear appropriate shoes. The sea and an artificial lake divided by a strip of sand: get ready to see and discover another face of Elba, the mining one. The lake was formed by filling a mineral well with sulphurous water, to which brackish water of the nearby sea was added. Hematite, magnesite and pyrite were extracted from the original mine. The emerald green color and the calm that reigns in the lake always invite exploration of its waters, however swimming is strictly forbidden. At the beach there are no bars or beach service, and perhaps this aspect helps to make it even more fascinating and evocative. It is certainly not a chaotic beach, and even in the most crowded periods, like August, it is easy to find a comfortable place to lie down and relax. The sand is black, but shimmers as if inside it hides gold and the glitter is dragged into the sea, so do not forget to bring a mask and snorkel: the sea bottom really saves many surprises! After a few steps the sea becomes deep but because of the pebbles and rocks along the entire shore, it is advisable to wear rock shoes. 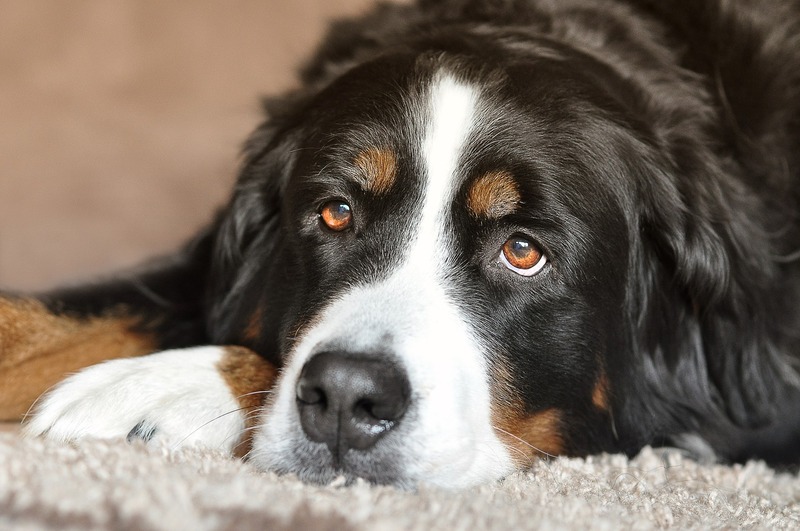 Our 4-legged friends are welcome as long as they are not taken off their leads. Since the area is very hot, if you are in the company of “Fido” it is advisable to bring along a beach umbrella, a large beach towel and a small bowl where you can always pour some fresh water.